The Neopian Times Week 15 > Articles > Back in Business: Rainbow Fountain! Back in Business: Rainbow Fountain! After much precipitation, the Rainbow Fountain has filled itself back up, so will you take advantage of what it has to offer? 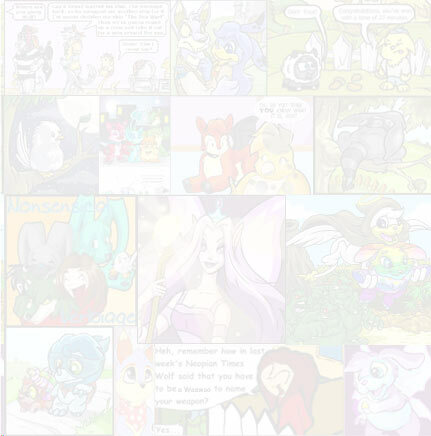 First of all, if you don't already know, the Rainbow Fountain is a a lot like the Rainbow Pool because you can change your NeoPets' colour, except now you can even change species... and it's completely *FREE* (not all of us have a ton of Neopoints (yet)!). The history of the Rainbow Fountain goes back a few months, and it was pretty much the same as it is today. Anyway, if you missed out back then, or want to paint some more, here's another chance. So don't miss out. Instead of buying expensive faerie paint brushes, or those pricey tomato Chia pops, you simply sign up for some NeoPets sponsors, and you get an Admit One Rainbow Fountain Pass! The more passes you have the more you can do. Cool! You get to help NeoPets out, and get an even cooler looking pet! 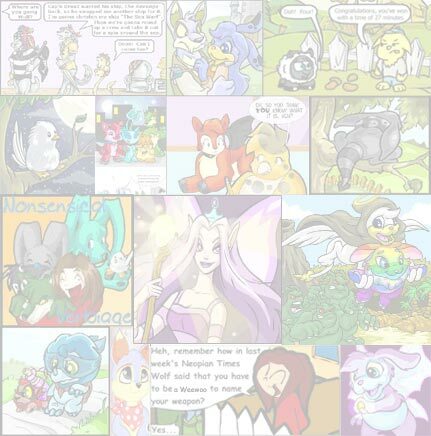 So if you have not helped NeoPets out, do so by signing up for some sponsors today, and have fun deciding how you want your NeoPets to be like! Trust me, it'll probably take you a few hours to find the perfect choice. How to Get the Paintbrushes You Want--Cheap! NeoPets look just plain prettier once they've been painted. What's In Your Pet's Bedroom? Naturally, you will want the lowest price possible, and this can take some searching, especially on the more expensive items. All these dragons are popular pets but have you ever wondered how they relate to each other.